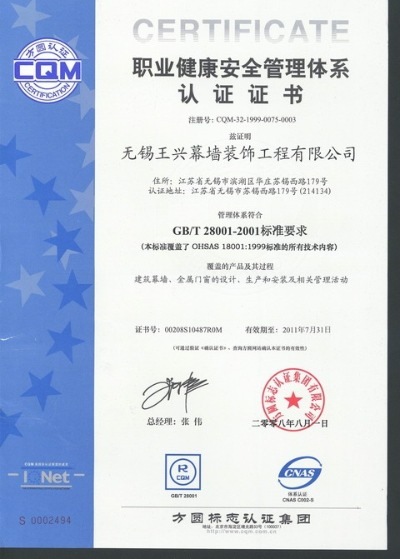 Company Overview - Wuxi Wangxing Curtain Wall Decorative Engineering Co., Ltd.
11YRSWuxi Wangxing Curtain Wall Decorative Engineering Co., Ltd.
Wuxi Wangxing Curtain Wall Decorative Engineering Co., Ltd. is a large-scale leading enterprise with the national Grade A designing qualification for national-level exclusive projects and the national Class I construction qualification. 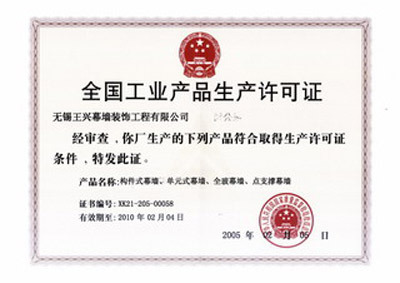 We specialize in the design, manufacture and installation of construction curtain walls, doors & windows, skylights, canopies and other exterior-protected building products. Established in 1968, our original name is Wuxi Jiangnan Doors & Windows Co.We have more than 230,000 square meters of factory area with about 20 million RMB of registered capital and over 500 employees. 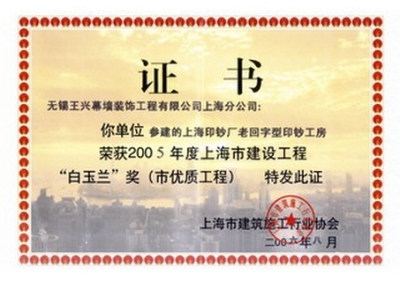 Our annual sales volume is 700 million RMB. 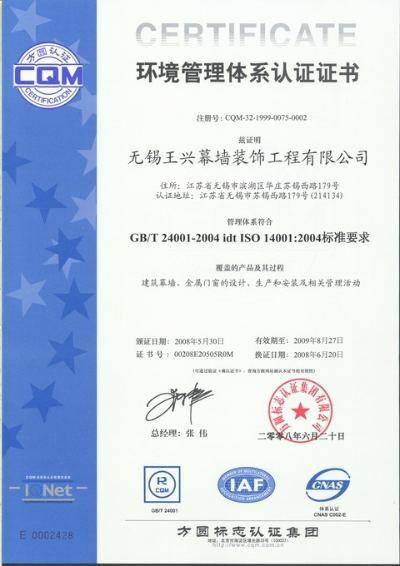 We own advanced manufacturing and machining devices imported from Germany, the USA, Italy and Japan. 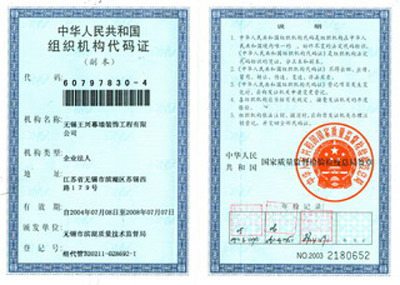 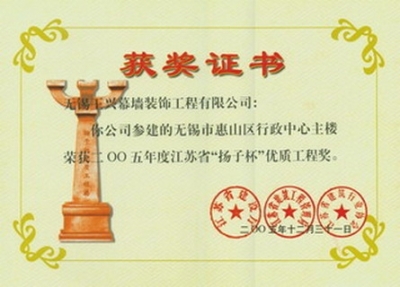 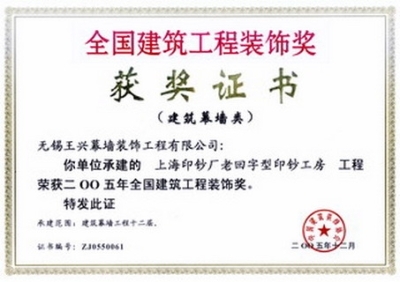 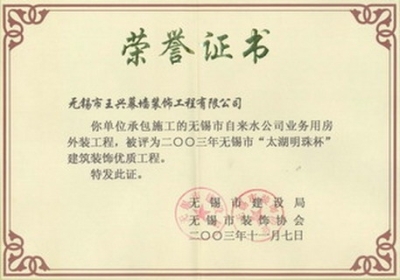 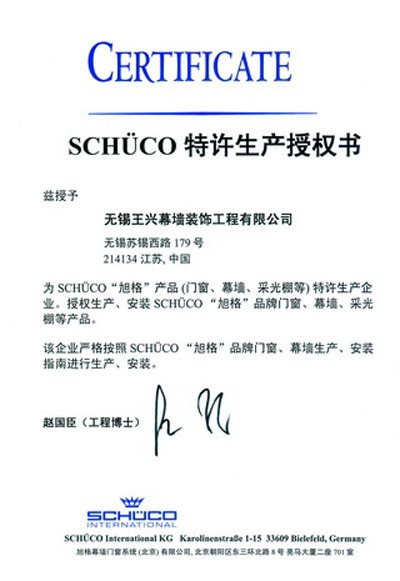 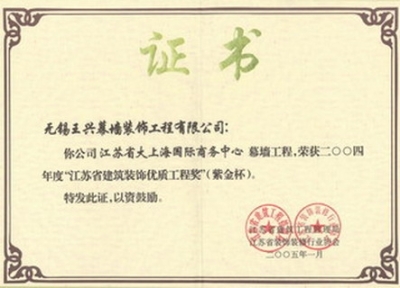 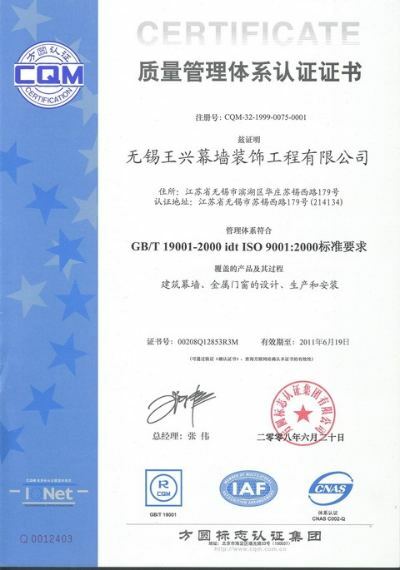 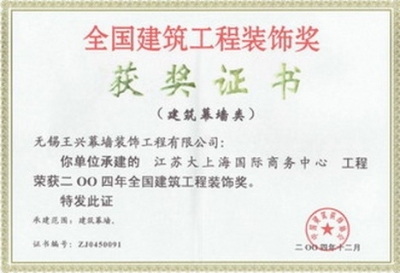 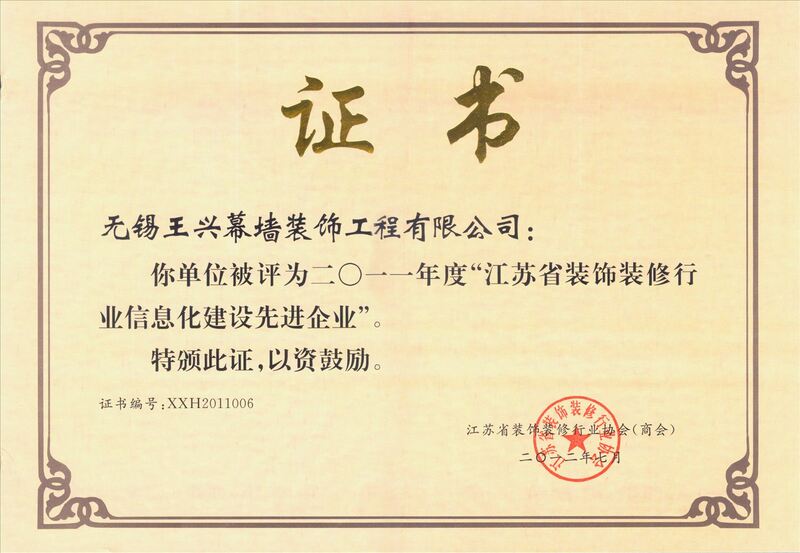 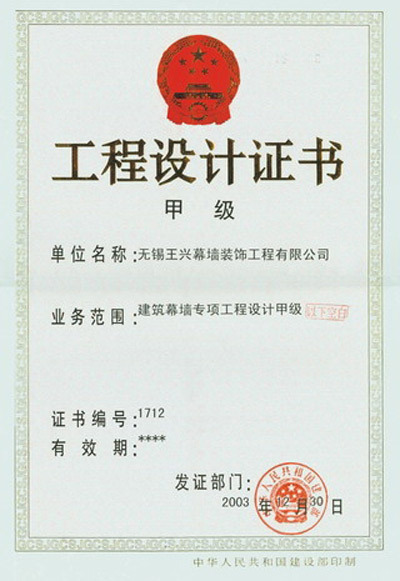 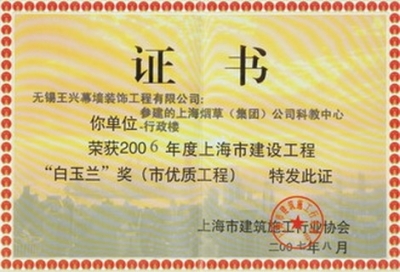 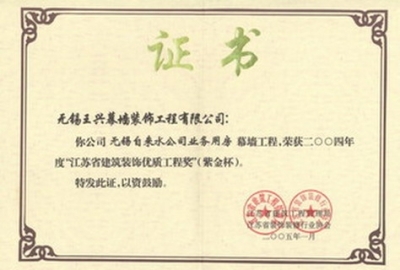 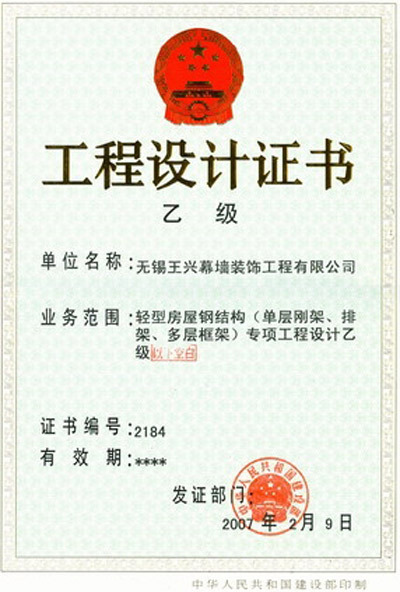 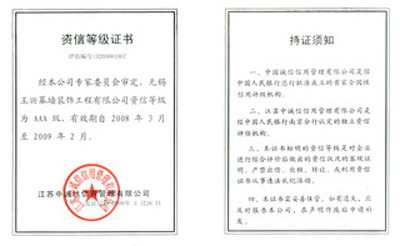 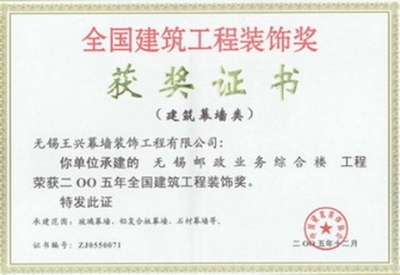 We are the main business partner of Schueco International KG, Aluk Engineering SpA and YKK AP Inc.We have passed the evaluations of ISO9001:2000, ISO14001:2004 and OHSAS18001 certifications, and got many prizes, such as "China Excellent Building Construction Award-Luban Award", "White Magnolia Award of Shanghai", "China National Building Construction Decoration Award", "Yangtze Cup of Jiangsu Province" and "Zijin Cup of Jiangsu Province". 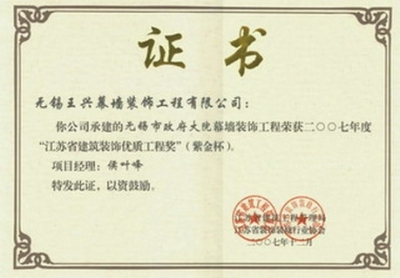 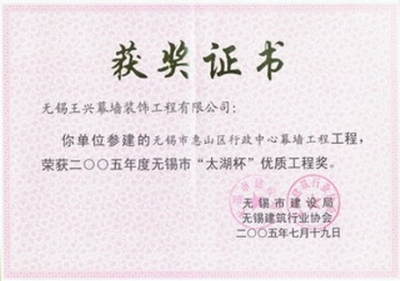 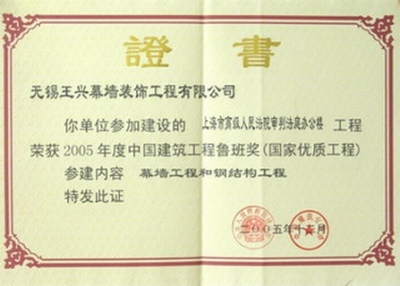 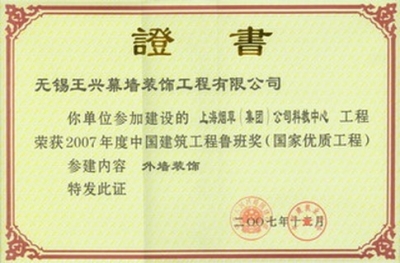 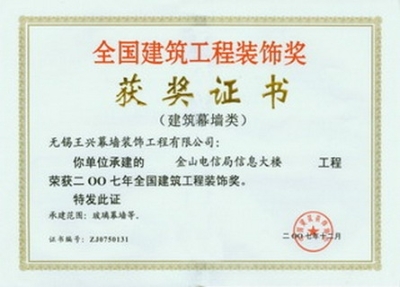 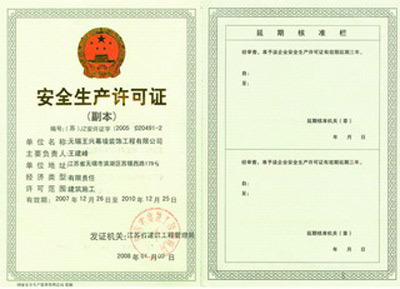 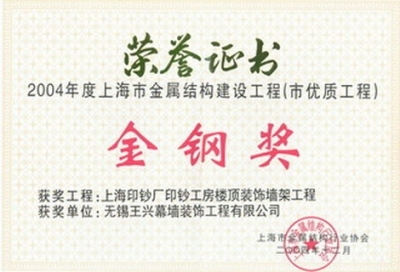 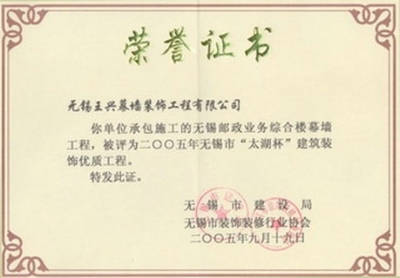 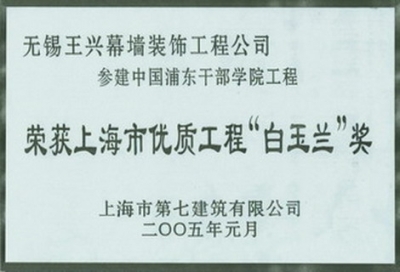 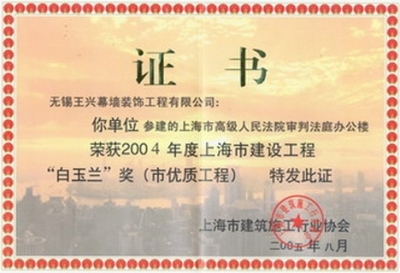 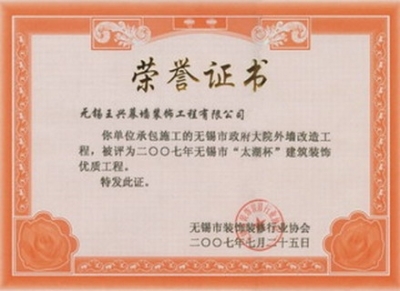 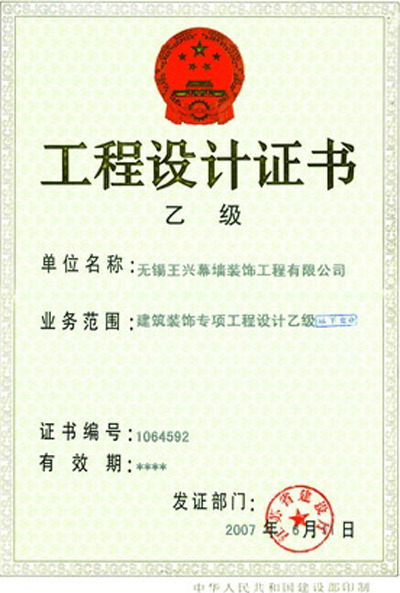 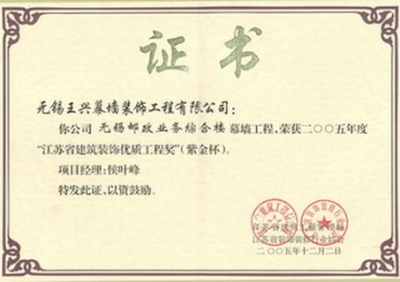 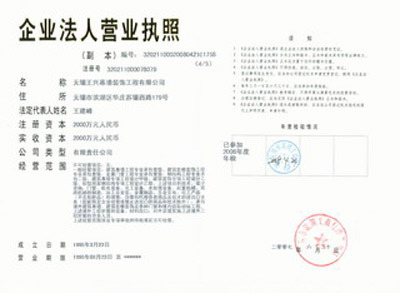 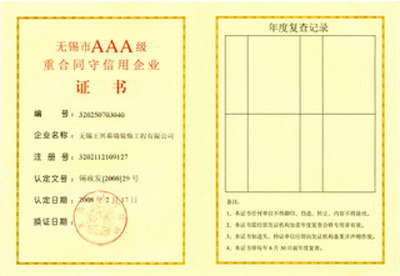 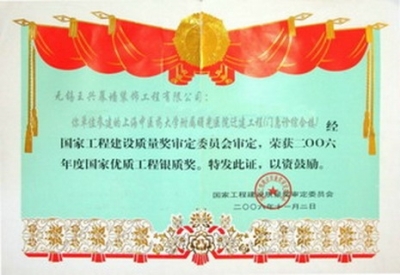 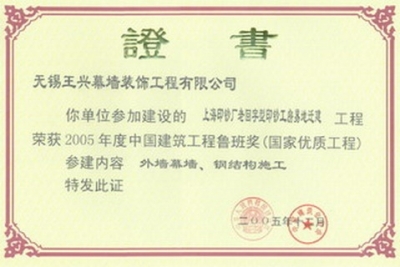 In addition, we have been elected as one of "Top Fifty Construction Decoration Companies of China", one of "Top Ten Construction Decoration Companies of Jiangsu Province", "Fine Enterprise in the Construction Decoration of Jiangsu Province", "Fine Construction Company Working in Shanghai" and "Enterprise with AAA Credibility Ratings".Please feel free to contact us for further information. 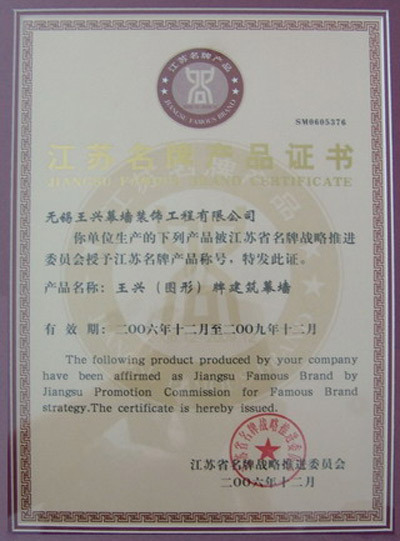 We will do our best to meet with every customer's needs.